Paul Romero started the reading by saying that there was no theme for the evening’s reading, but of course, a connective tissue emerged. On a formal level, the poets were all narrative (as contrasted to Mark Bibbins & Jean Valentine, from the previous week), focusing on meditations and biography. They all work with language as a transparent medium, while carefully shaping it (but never to reveal the shaping). On a thematic level, the poets were deeply concerned with desire and violence, the ways that a body can be wanted, hurt, and soothed. They explored the desires and disruptions of their own bodies, celebrity bodies, and the bodies of loved ones. As Paul introduced each reader, it became clearer and clearer that the themes of the evening were emerging of their own accord. Joel Allegretti started the evening, flawlessly reciting poems from memory, starting with a translation. His poems often focused on pop culture divas; Yoko Ono and Nico made early appearances. Allegretti’s latest collection Thrum (Poets Wear Prada Press) is comprised of poems about stringed instruments, though Buffy Sainte Marie kept his poems diva-centric as he read about her performing with a mouth bow (definitely worth checking out on Youtube). Even Eurydice took a star turn, being cast as Greta Garbo’s predecessor and regally pronouncing “I want to be alone.” Allegretti ended with an elegy for his mother (every man’s first diva? ), using the dolphin and the butterfly as images to bring the two back together. Jeffrey McDaniel was quite funny, though his humor was carefully calibrated against dire concerns and tragic tones. With poems like “Eliot Spitzer Contemplates Fate” and “The Cuckold’s Survival Manual,” McDaniel made the audience laugh before swerving into darker territory. Many of his poems seemed to be about a failure to connect, about desires that isolated or frustrated the speaker. In one of the longer poems, McDaniel told the history of his body’s evocation of desire in men, from his adolescent years to the present. In ironic circumlocutions, he apologized for his inability to satisfy the desire he provoked, while his explicit refusal to judge them (especially the ones out trolling for high schoolers) came with it’s own indictment. This poem resonated perfectly against the Cuckold poems, in which the speaker’s wife is pleasured in great detail. In both poems, the speaker remains humiliatingly proximate to desire. In one case he is unpleasantly called to a pleasure that is not his own; in the other he is excluded from a pleasure that is rightfully his. His last poem was an elegy for a childhood friend. Jacob Scheier was the softest spoken of the group. The Toronto based poet’s quiet voice pulled in the audience as he read poems about New York, his previous home. One poem lamented how New York can never live up to its life in the movies—how life has to continue in it’s messiness, while a movie about New York can close itself tidily. The poems deftly wove together strands of personal, familial, and political history. One poem about the sexual abuse of his mother ranged over the family’s Communist commitments and the various ways that the abuse was justified, including red-baiting. 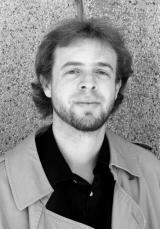 Scheier worked to inhabit his mother’s voice, a way of bringing back a woman who died in 2000. It closed out his own reading perfectly, and brought the evening to a close, letting his elegy resonate against Allegretti’s. 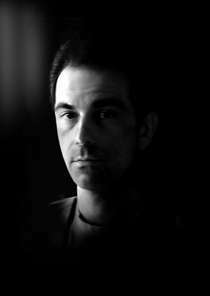 Jason Schneiderman is the author of Sublimation Point (Four Way Books) and Striking Surface (Ashland Poetry Press). His poetry and essays have appeared in numerous journals and anthologies including American Poetry Review, The Best American Poetry, Grand Street, Bloom, Court Green, The Penguin Book of the Sonnet, The Story Quarterly, the Virginia Quarterly Review and Tin House among other publications. Jason has received fellowships from Yaddo, The Fine Arts Work Center, and The Bread Loaf Writer’s Conference. 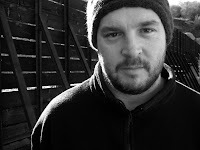 He was the recipient of the Emily Dickinson Award from The Poetry Society in 2004. A graduate of the MFA program at NYU, he is currently completing his doctorate at the Graduate Center of the City University of New York.